We used to make this in elementary school, although never this way. In the food processor, yes, but in the meat grinder? Nope! 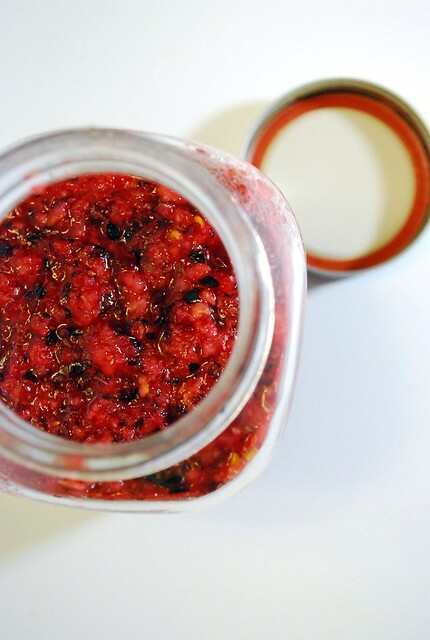 This is the fastest and easiest and my favorite of the cranberry sauces. This relish needs no cooking, and it can be made in advance. These are important things for someone who is working every day until Thanksgiving, which is being hosted at her house. Plus, this is super delicious. Three ingredients! 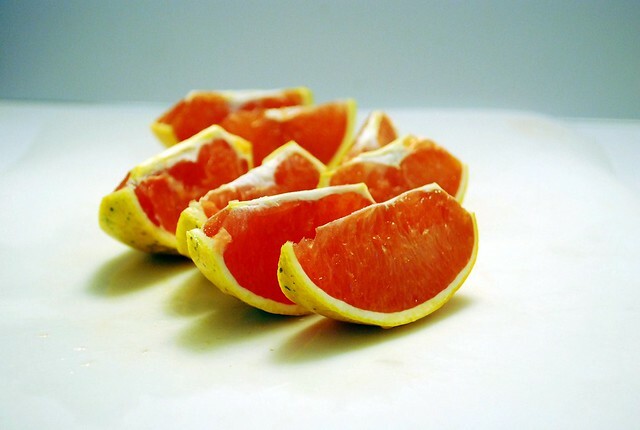 Slice the orange, leaving the skin on. 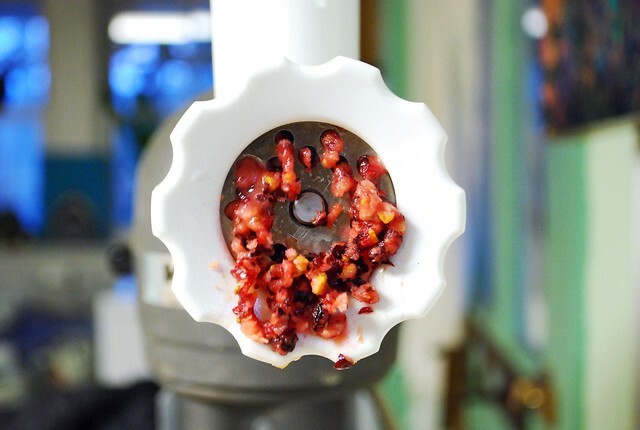 Run the cranberries and orange slices through the grinder, then stir in the sugar. That's all. Store in the fridge. Makes about 3 cups. I sure hope you washed that orange before grinding it up! Please use organic.